Last edited by SportsCardCollective; 12-02-2018 at 07:41 PM. 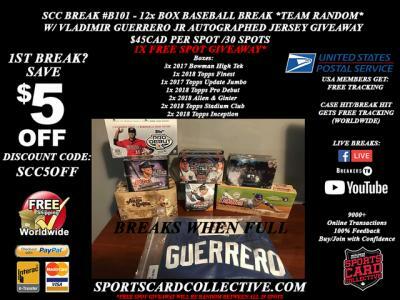 Hey SCF members.. you guys may have some interest in this Break.. feel free to Tag your fellow collectors who like Baseball Breaks.. Looking to Break this Friday Night and Ship on Monday... Grab up your spots... this Break is $15 Below the original Price .. to get Baseball Breaks moving and new members in here.